Like an upturned goblet, the Trumpet ceiling light from Hubbardton Forge features a simple design that highlights the dome glass shade at its tip. This is even more apparent with paired with the wavy water glass option. 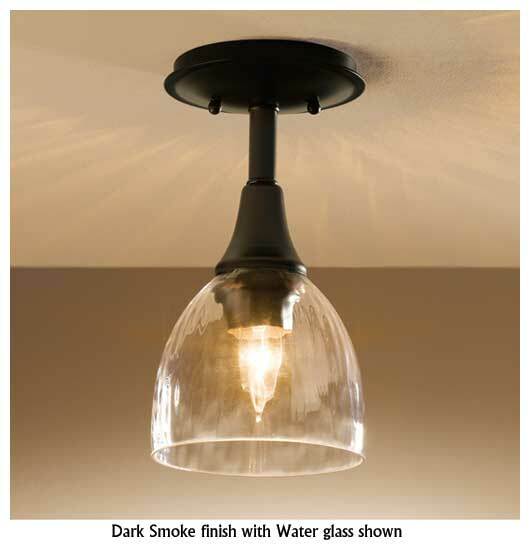 Availability: Please allow 4 weeks for delivery; all Hubbardton Forge fixtures are custom-made.